With solar panels generating power you create your own power and slash or even eliminate your monthly utility expenses! Photovoltaic power is a fast-growing technology because it utilizes the sun, the biggest source of renewable energy! 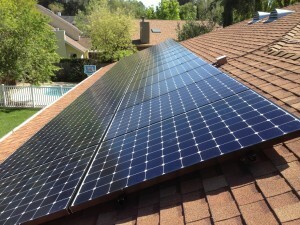 And here to aid solar property owners in Auburn with the installation process is Solaron! To guarantee our property owners are getting the best value for their money, Solaron only installs solar panels manufactured by SunPower. As an Authorized SunPower Dealer, Solaron acquires products that are generally considered the finest and most efficient in the solar business. Each and every panel is backed by a 25-year warranty. Thorough research, development and product testing internationally makes SunPower panels the only ones we trust completely. Call Solaron today so that you may unlock the Sun’s energy potential with this winning manufacturer/installer combination.